For all of your water heating needs in Gainesville, FL and surrounding areas, rely on the experts from Jarvis Heat & Air, LLC. We provide affordable installation of quality water heaters, including all types of conventional tank-style heaters and tankless heaters, along with essential maintenance and prompt repair. Our team arrives prepared for any challenge. Combining extensive training and in-field experience with specialized tools, smart technology, and a wide inventory of replacement parts and water heaters, we deliver quick and lasting solutions. Whether you’re faced with insufficient water supply, discolored water, strange noises, no hot water, or a ruptured tank, Jarvis Heat & Air, LLC is here to help. 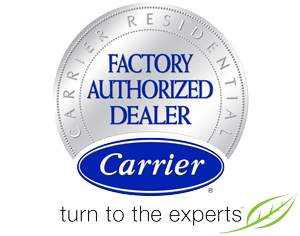 We eliminate the temptation and consequences of do-it-yourself repairs and installation through convenient scheduling, affordable pricing, and results you can trust. Consider proactive maintenance to eliminate problems before they disrupt your everyday life. Our skilled services optimize the longevity, reliability, safety, efficiency, and overall performance of your water heater. Contact Jarvis Heat & Air, LLC at 352-316-4573 at anytime. We remain on call for emergency assistance 24/7 throughout Gainesville, FL.